Help reduce the appearance of wrinkles, bags, puffiness and age lines. Instant Eyelift is an amazing eye serum that helps you to dramatically smooth away the appearance of wrinkles, bags and puffiness. Instant Eyelift offers you results that may last up to 8 hours (individual results may vary) - so you’ll look great the whole day (or night) through! Clean and dry the skin ensuring all make up and moisturisers are removed. Shake bottle slightly before use. Test the serum on your palm. If texture of the lotion is gritty, continue shaking the bottle. Place a few drops on your index finger, and in a crescent shape motion apply three strokes to form a thin layer under the eyes. The strokes should start at the inner area under the eye and move towards the hairline. Once applied look straight ahead and try not to make any facial movements such as smiling or talking for at least 2 to 3 minutes or until the serum has dried. You will feel your skin tightening and in some cases a tingling sensation that lasts 2-3 minutes. Biocare SA - composed of Albumin and Hyaluronic Acid, and forms a water retaining, highly elastic film that keeps the skin under the eye well hydrated, plump, smooth and tightened. The Albumin component lifts furrows up to the level of surrounding skin by means of contraction. It also forms a film which becomes translucent, diffusing and reflecting light, allowing the wrinkles in the skin under the eye to appear less pronounced. 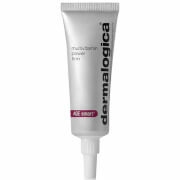 Skin Tightener ST - combines hydrophilic polysaccharides derived from the algae Macrocystis pyrifera with wheat protein. 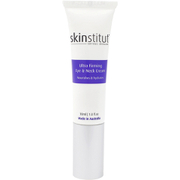 Skin Tightener ST was seen to tighten and smooth the skin dramatically after just minutes. Sodium Silicate - when applied to the skin, this ingredient dries immediately and contributes to the formation of the film which provides for instant lifting effect. Biocare SA- is composed of Albumin and Hyaluronic acid and forms a water retaining, highly elastic film that keeps the skin under the eye well hydrated, smoothes out irregularities and tightens the surface of the skin. Sodium Silicate- dries immediately and contributes to the formation of the film which provides for instant lifting effect.